This picture is of the great room from the loft. 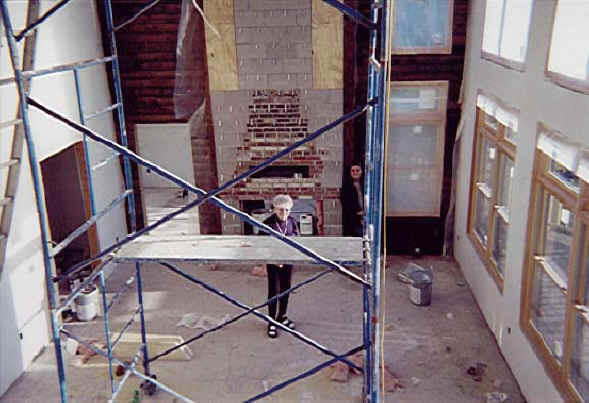 Two of the spies (Shirley and Mary Kauppi) are standing in front of the fireplace. Cindy Kauppi is the photographer. Beach stone will cover the fireplace all the way to the roof.